Los Angeles County sheriff's deputies respond to the scene of a fatal shooting in the 1400 block of South Woods Place in East Los Angeles Saturday, July 5, 2014. 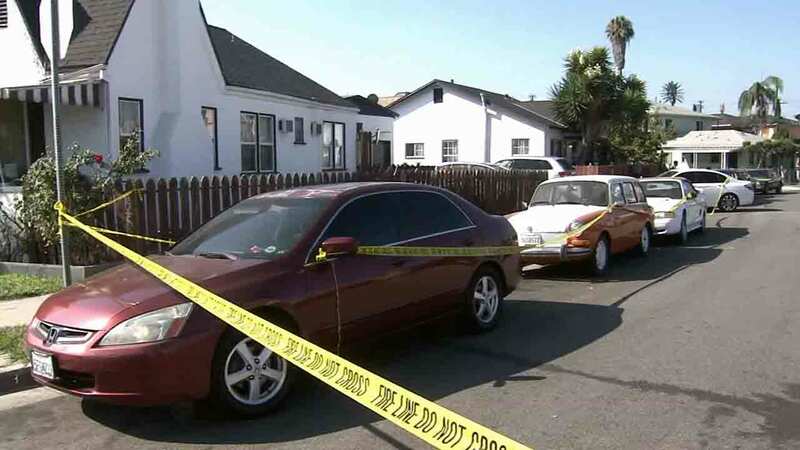 EAST LOS ANGELES, Calif. (KABC) -- A man was fatally shot in East Los Angeles Saturday morning, sheriff's homicide detectives said. The incident occurred on the 1400 block of South Woods Place shortly around 6:15 a.m. Neighbors say they heard loud cries coming from a home, then saw children being escorted out. Anyone with information was urged to contact the Los Angeles County Sheriff's Department at (323) 890-5500.